Without donations we could not provide the care needed by the 5000 animals that come to us each year. Many people donate in memory of a family member, friend, or pet. Your tax-deductible* donation is crucial to our success. Please help us help them! *BRAWA is a qualified charity for deduction on state and federal tax returns. The extent to which it and other charitable donations result in income tax savings depends on your individual tax situation. Donate On-Line – For a One Time Donation or Monthly Donation by credit card CLICK HERE. Donate with Paypal by signing up for an account and using brawapawprint@gmail.com to send in your donation. Automatic Monthly Bank Drafts – Click for donation form and make automatic monthly donation to BRAWA by automatic bank withdrawal. Donate Supplies – The shelter always needs the following items: Bleach, paper towels, laundry detergent, Lysol wipes, hand sanitizer, canned poptop dog and cat food , milk bones, dog treats, copy paper, blankets and towels. 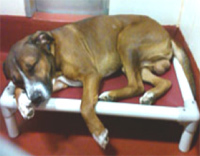 Planned Giving – Consider leaving a living legacy for the homeless animals in your will or other estate plan. BRAWA now has an endowment fund in place to ensure the future of BRAWA and it’s work in good as well as tough times. Please see our Planned giving brochure for more information on making BRAWA a part of your estate plan. 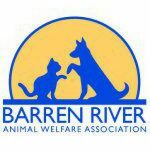 The Amazon Smile program is an easy way to help support the Barren River Animal Welfare Association. Sign up, sign in to the Amazon Smile page and shop like you normally would and Amazon will donate a portion of the sales back to BRAWA. Here’s how. 1. Go to www.kroger.com/communityrewards and Sign In. 2. Click on “Re- Enroll Now” on the Kroger Community Rewards page. 3. On the Account Summary page click the “Re-Enroll” button located under the Community Rewards section. 5. Use your Kroger Plus Card when you shop to earn rewards for Barren River Animal Welfare Association (while still earning rewards for yourself).